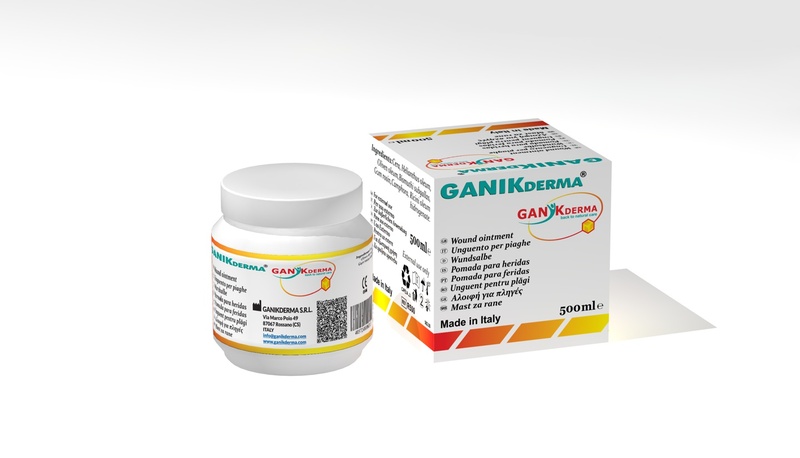 GANIKDERMA® Recipientis a hydro-active product, consisting of a recipient with different quantities of wound ointment. The wound must be cleaned with hypertonic solutions (physiological serum, Ringer solution), before each use of the ointment. The ointment is applied on the whole wound or affected surfac in a 1-2 mm layer. A sterile dressing (gauze or nonwoven dressing) is applied on the compress which protects the favorable environment to healing produced by the ointment. The dressing is replaced every day or every two days, depending of the wound.